Dubai, UAE; September 2, 2018: Sarwa, the first regulated automated investment advisory platform in the region, announced that it received over $1.3M in its pre-series A round of financing. The funds raised include investments from major international and regional venture capital firms. Shorooq Investments from Abu Dhabi was joined by Middle East Venture Partners (MEVP) - one of the largest and most established VCs in the MENA region - alongside the California-based venture fund 500 Startups, the Dubai based Women’s Angel Investor Network, Hala Ventures from Saudi as well as Saned Partners from Lebanon. This new round of investment brings Sarwa’s total funding to over $1.5M since its inception in December of 2017, allowing it to continue its rapid growth, serving the region’s young professionals and underserved market. The company officially launched its platform in February 2018, onboarding its first clients under the Innovation Testing License - a special license designed for Fintech startups to roll out innovative solutions for the region and awarded for the first time by the Dubai Financial Services Authority. It has since known a monthly growth of over 20% and reached more than 1,000 registered users. Sarwa brings expert level investing to its clients by combining technology and human advice to create a user-friendly and fully digitalized experience at a very low fee. “We are excited to take part of the Sarwa story. There is a growing interest in fintech regionally; meanwhile, the team is executing and delivering on its early stage milestones, putting the company on track to becoming a leader in this important vertical. Sarwa is adapting regionally a model that Wealthfront and Betterment have mastered in mature markets and the opportunity is ripe given the large segment of the population that is young, affluent and interested in investing,” mentioned Wajdi Ghoussoub, Associate Director, MEVP. This new injection of funds will allow Sarwa to continue its expansion and signals Sarwa’s commitment to building the future of investment in the region with the brightest minds and best talent from developers to advisors. "It is our sincere pleasure that Shorooq Investments is leading another financing round for Sarwa as we have seen how the Company has grown since inception - from idea stage to Fintech Hive launch to product launch and now on-boarding hundreds of users,” added Shane Shin, Founding Managing Partner, Shorooq Investments. “We are most excited to see that so many people are literally waiting in-queue to become Sarwa's customers as this validates our market thesis so far. 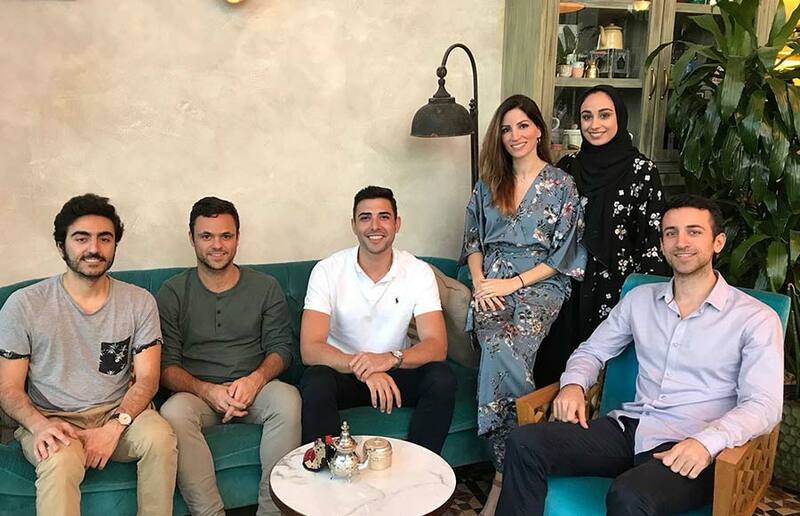 We are honored to be working with such disciplined and execution focused company builders like Mark, Jad and Nadine, as one team to brainstorm how we can build Sarwa as the leading robo-advisor platform in the GCC." Sarwa presents a clear, cost effective alternative to the current wealth management offering in the region.